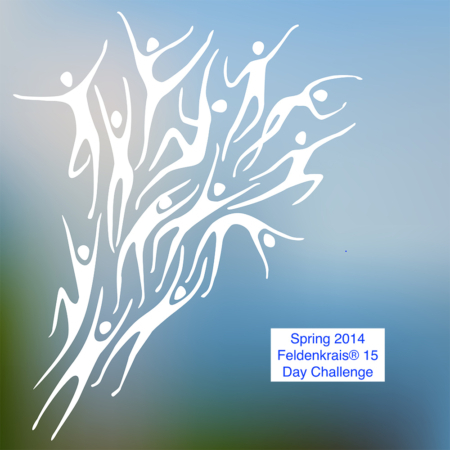 This series of 15 Awareness Through Movement® Lessons was recorded during the Spring 2017 Feldenkrais 15 Day Challenge. Each day consists of a roughly 45 minute Awareness Through Movement® Lesson. Now in the luxury of your own home and at your own pace you can experience the power of the Feldenkrais Method® to bring about major changes in your body, your movement and your well-being. I recommended that you do a lesson a day, just as we did in the 15 Day Challenge. Remember—we get good at what we practice! * AY = lessons from Alexander Yanai Training, except for Day 15 which is from the San Francisco Feldenkrais Training, Year Two. Do everything slowly – You need sufficient time to assimilate the idea of the movement being described and sufficient time to perceive and sense yourself.